To say that the New Horizons mission has been a success would be a massive understatement; this first-ever spacecraft to visit Pluto has revolutionized our understanding of this distant, small world. Pluto and its moons are complex and active places, more so than thought possible by most scientists. Even though New Horizons flew past Pluto instead of orbiting it in July 2015, it still collected an enormous amount of information, which has taken more than a year to be sent back to Earth. That process is now complete, NASA just announced. Over 50GB of data was sent back to Earth in total, with the last bits being downlinked at 5:48 a.m. EDT on Oct. 25, at the Johns Hopkins Applied Physics Laboratory (JHUAPL) in Laurel, Md. The data had to travel over 5.5 billion kilometres (3.4 billion miles), or five hours and eight minutes at the speed of light, to reach Earth from New Horizons, which is now well beyond Pluto. Since the mission was only a quick flyby of Pluto, New Horizons had to gather as much data as it could as fast as it could; there were no second chances. 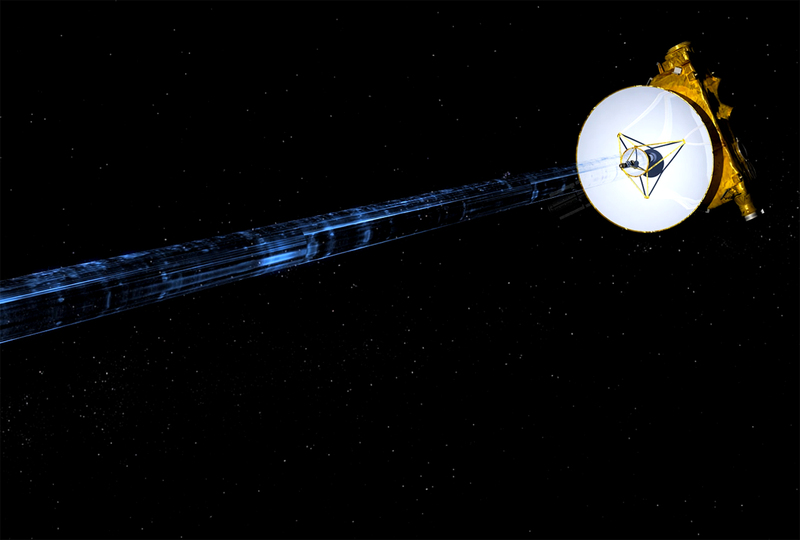 During closest approach, the spacecraft gathered about 100 times more data than it could have sent back before continuing its journey past Pluto, deeper into the Kuiper Belt. Fortunately, everything worked beautifully. “We have our pot of gold,” said Alice Bowman, Mission Operations Manager at JHUAPL. The mission team will now erase the two onboard data recorders to make room for new data, but not before conducting a final data-verification review. Before New Horizons, the best views we had of Pluto were from the Hubble Space Telescope, and even then it wasn’t much more than a small fuzzy blob. Now, the surfaces of Pluto and its moons have been seen in incredible detail, revealing worlds much more active than ever previously thought. 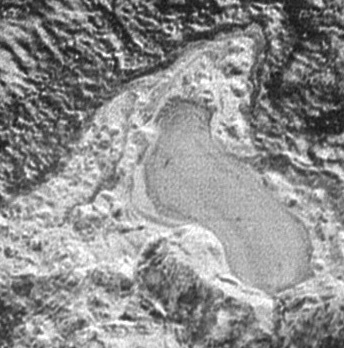 Pluto itself, it turned out, had vast glaciers and plains of smooth nitrogen ice, tall mountain ranges of solid water ice with methane snow on their peaks, ancient riverbeds which once flowed with liquid nitrogen, a bluish hazy layered atmosphere with possible clouds, possible current cryovolcanoes (ice volcanoes), and a possible current subsurface ocean of water. 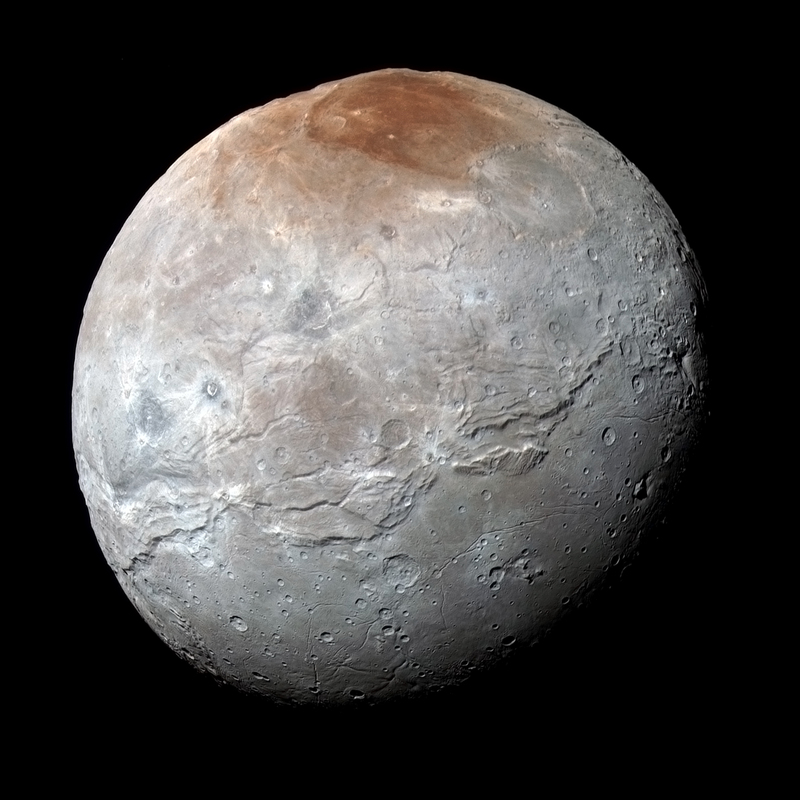 Its largest moon, Charon, had deep tectonic fissures and valleys, mountains (including an odd isolated peak sitting in a moat-like shallow depression), landslides and a distinct reddish north polar cap. The fact that Pluto and its moons have been and still are so geologically active was a surprise to scientists, since they are all so small and so far from the Sun in the deep outer reaches of the Solar System. But active they were. The age-dating of Pluto’s surface through crater counts has revealed that Pluto has been geologically active throughout the past 4 billion years. Further, the surface of Pluto’s informally-named Sputnik Planum, a massive ice plain larger than Texas, is devoid of any detectable craters and estimated to be geologically young – no more than 10 million years old. Pluto’s upper atmospheric temperature has been found to be much colder (by about 21 degrees Celsius, or 70 degrees Fahrenheit) than had been thought from Earth-based studies, with important implications for its atmospheric escape rate. Why the atmosphere is colder is a mystery. Before the flyby, the presence of Pluto’s four small moons raised concerns about debris hazards in the system. But the Venetia Burney Student Dust Counter only counted a single dust particle within five days of the flyby. This is similar to the density of dust particles in free space in the outer solar system – about 6 particles per cubic mile – showing that the region around Pluto is, in fact, not filled with debris. New Horizons’ charged-particle instruments revealed that the interaction region between the solar wind and Pluto’s atmosphere is confined on the dayside of Pluto to within 6 Pluto radii, about 7,000 kilometres (4,500 miles). This is much smaller than expected before the flyby, and is likely due to the reduced atmospheric escape rate found from modeling of ultraviolet atmospheric occultation data. The high albedos (reflectiveness) of Pluto’s small satellites – about 50 to 80 percent – are entirely different from the much lower albedos of the small bodies in the general Kuiper Belt population, which range from about 5 to 20 percent. This difference lends further support to the idea that these satellites were not captured from the general Kuiper Belt population, but instead formed by agglomeration in a disk of material produced in the aftermath of the giant collision that created the entire Pluto satellite system. “These five detailed papers completely transform our view of Pluto – revealing the former ‘astronomer’s planet’ to be a real world with diverse and active geology, exotic surface chemistry, a complex atmosphere, puzzling interaction with the Sun and an intriguing system of small moons,” said Stern. 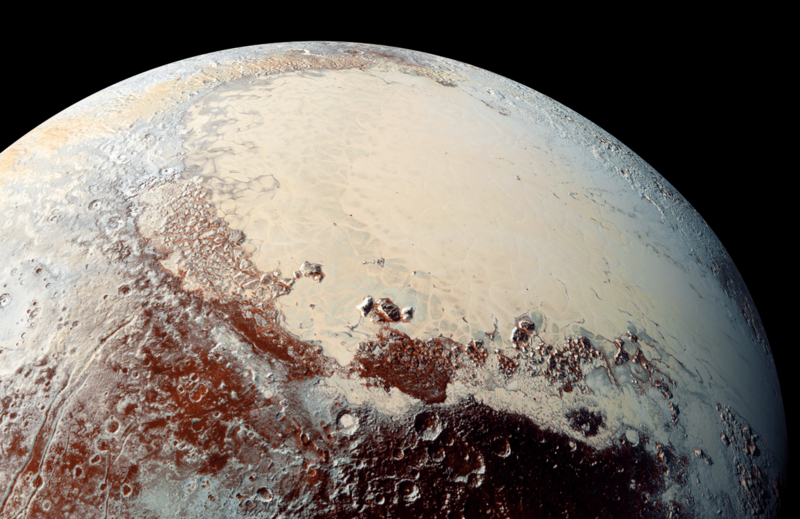 The evidence for a possible subsurface ocean on Pluto is intriguing, and would put the dwarf planet in company with several moons which also have subsurface oceans, such as Europa, Enceladus, Titan, Ganymede and possibly others. 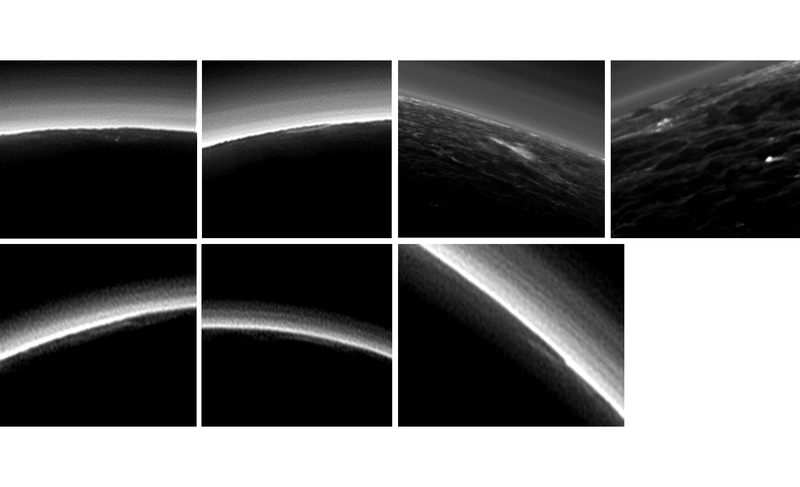 “Thanks to the incredible data returned by New Horizons, we were able to observe tectonic features on Pluto’s surface, update our thermal evolution model with new data and infer that Pluto most likely has a subsurface ocean today,” said Noah Hammond, a graduate student in Brown University’s Department of Earth, Environmental and Planetary Sciences. 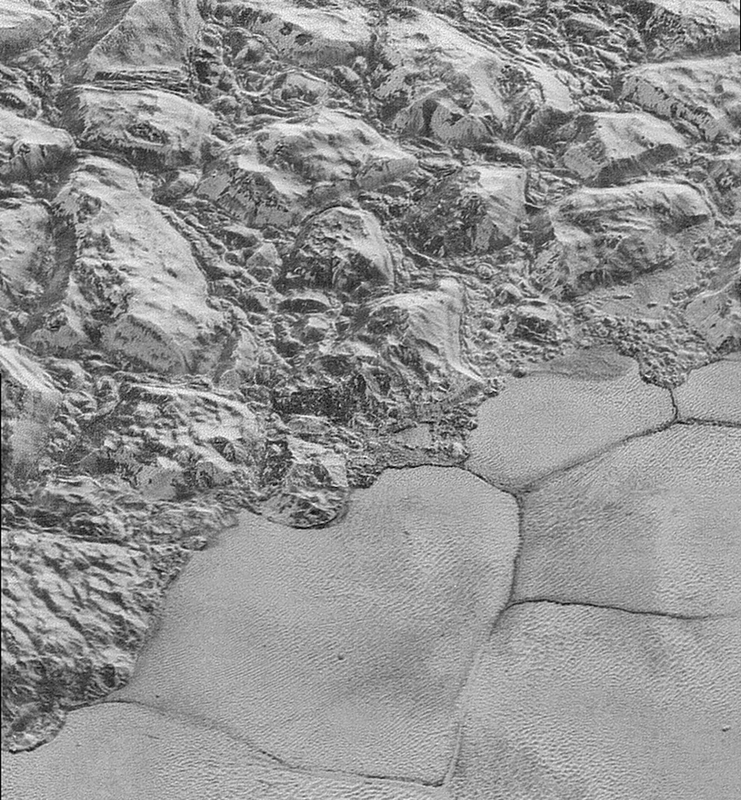 It had been theorized that if Pluto did once have a subsurface ocean, it would be completely frozen by now, but the data from New Horizons seemed to suggest otherwise. There is also evidence that Pluto’s largest moon Charon had a subsurface ocean as well, but it is likely completely frozen solid. 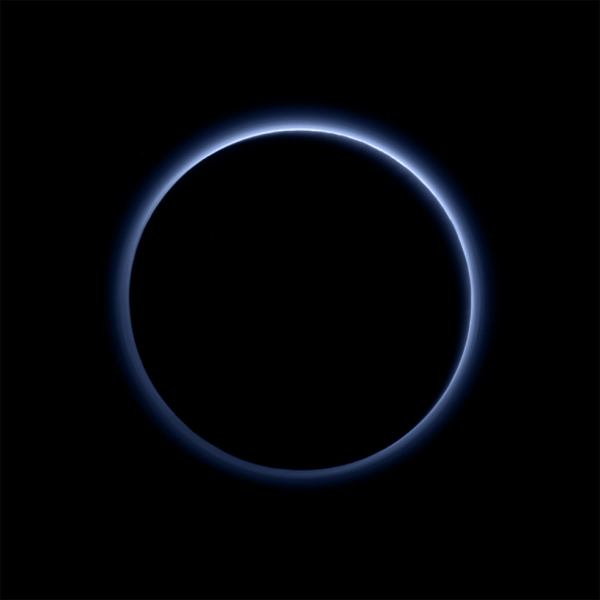 Pluto’s thin atmosphere appears bluish when seen backlit by the Sun, a view never possible from Earth. There is also evidence for possible clouds in that hazy, layered atmosphere. Most recently, it was found that Pluto emits x-rays and “paints” Charon with methane gas, which explains the reddish polar cap on that moon. The methane freezes at Charon’s north pole and then ultraviolet light from the Sun changes the material into heavier hydrocarbons and eventually into reddish organic materials called tholins. As for the x-rays, they are produced by Pluto interacting with the solar wind from the Sun. They were first found by NASA’s Chandra X-ray Observatory. One of the instruments on New Horizons, the Solar Wind Around Pluto (SWAP), measured the “bowshock,” where the solar wind first “meets” Pluto and its atmosphere (similar to a shock wave that forms ahead of a supersonic aircraft) and forms a small wake or tail behind the dwarf planet. When the data from Chandra was first examined, however, it showed that the brightness of the x-rays around Pluto was much higher than expected. It isn’t clear yet why there is a difference between the New Horizons and Chandra findings, but for scientists that is just an opportunity to learn more. So what is next for New Horizons? The spacecraft is continuing its journey deeper into the Kuiper Belt region of the outer Solar System. 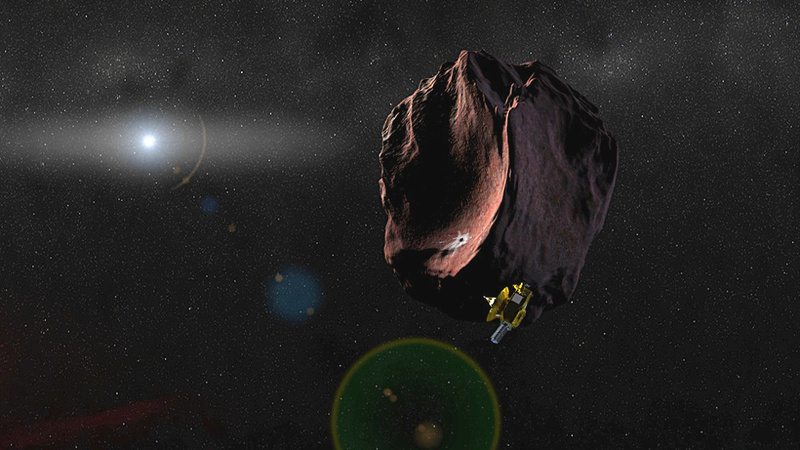 A new mission extension, called “KEM,” or Kuiper Belt Extended Mission, will allow the probe to investigate other objects in the Kuiper Belt. The next close flyby will be of a Kuiper Belt Object (KBO) called 2014 MU69, on Jan. 1, 2019. This flyby has been discussed before, but now would be part of a larger extended mission plan. 2014 MU69 is much smaller than Pluto, only about 21 to 40 kilometres (13 to 25 miles) across (similar in size to Mars’ two tiny moons), but New Horizons would fly past at a distance of only about 3,000 kilometres (1,900 miles), four times closer than the Pluto flyby. Observations by the Hubble Space Telescope have shown that 2014 MU69 is red in colour, maybe even redder than Pluto. It will be interesting to see this KBO up close and find out how similar to, or different from, other bodies such as Pluto and Charon it is. New Horizons also recently obtained images of another KBO called 1994 JR1. It is only one of thousands of such objects, but by studying it scientists can learn more about KBOs in general, including larger ones such as Pluto. 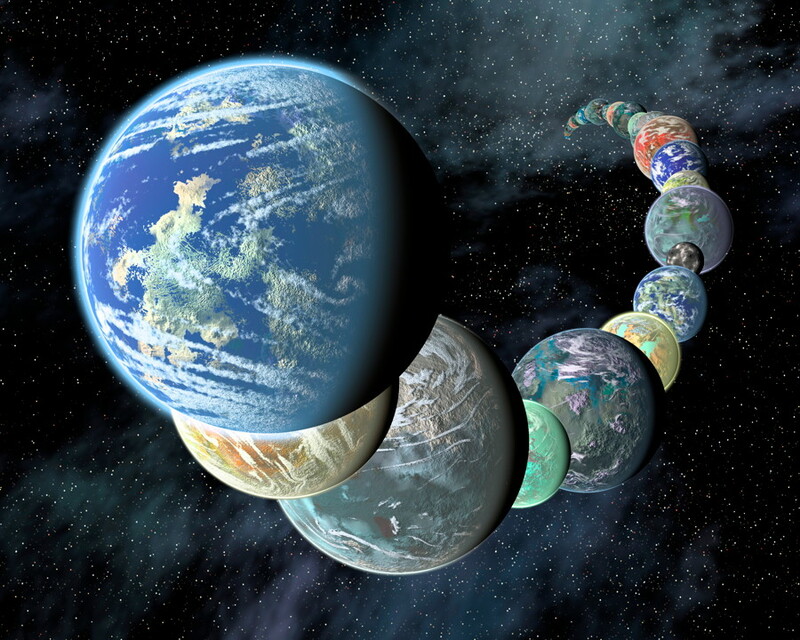 The outer Solar System may be cold, remote, and seemingly desolate, but it is by no means boring.